When we hear about grandma’s advices, we usually think that she lived in another century, so everything what she purposes seems old and useless. We can prove you that sometimes home remedies, made of natural ingredients, work even better than drugs. However, granny’s science is always cheaper and safer, that is why you have to try it at least once. Many persons suffer of various lung diseases such as asthma, chronic bronchitis, cough. These disorders can be provoked allergy, viral or bacterial infections, smoking. Here, we reveal you the most well-known traditional remedy that will make you forget about your health issues related to lungs. This treatment is 100% natural. The people who have already tried it tell that it is really miraculous, providing unexpected, pleasant results. 2 cups of maple syrup. If you do not have it, then you can replace it with half of kilo of brown sugar. Red onions provide quercetin, this being a compound which participates at the strengthening of our health. It provides an anti-fungal, anti-bacterial and anti-inflammatory properties. Maple syrup is not just used as natural sweetener in this recipe, doctors qualify it as champion food. It helps to boost the immune system. Lemon is used as treatment of throat infections, respiratory disorders, strengthening our immune system, providing a high dose of vitamin C to our body. Honey is known to be a wonder food. Raw honey has the greatest anti-microbial effect. Now, here is how to prepare the magical mixture. First of all, preheat on medium heat the maple syrup in a frying pan (If you use brown sugar, act the same way, until getting a mass of golden color). Add the onions, which have to be peeled and sliced, and cook for several minutes, adding water when necessary. Leave the mass to boil until the water reduces by one third. Meanwhile, squeeze the lemons. After the mixture is ready and is cooled, add the honey and the lemon juice. Stir everything. Leave it to brew for a night. The second day squeeze the liquid in a glass bottle. The remedy has to be taken before each meal. The dose for adults is of one tablespoon, for children – one teaspoon. When the mixture finishes, make another bottle, until you feel better. 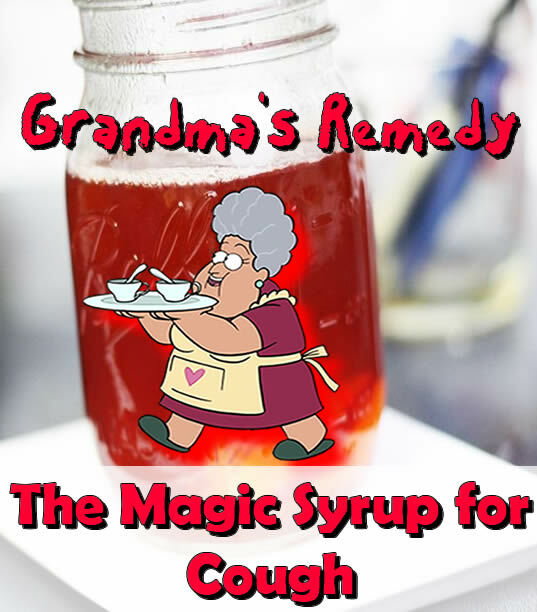 So, next time, before spending you hard-earned money at the drug store, buying medicine for cough, try first of all granny’s remedy.